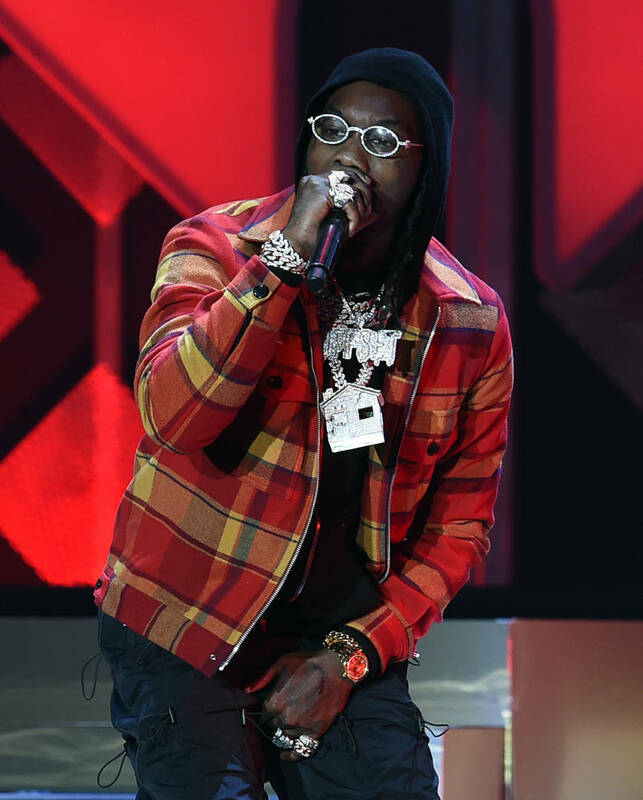 Home>Music> Offset & Travis Scott Perform "Legacy" On "Ellen"
It's been over a month since Offset released his solo debut album, Father Of 4. The rapper's project served as the last installment of solo projects from Migos following Quavo and Takeoff. Earlier today, the rapper made a guest appearance on the Ellen Show where he enlisted Travis Scott for a performance of "Legacy" and talked about everything from his relationship to his estranged father to the car accident that inspired, "Red Room." Offset's Father Of 4 album was the first time we've heard him talk in-depth about his kids, his father and truthfully, more personal aspects of his life. The rapper sat down on Ellen and explained why he decided to go public with his apology to Cardi B. "I want to let men know it's cool to make mistakes. Because my kids, I missed the first birthday of some of my kids due to incarcerations and being in trouble," he explained. "I still don't run away from it. Like, I have a father that I don't know of, he still runs away from it... I wanted to say the man's side of the story and accept your wrongdoing and going to fix it. Your son could be 30 years old and you've never seen him, you should still try to communicate." Later on, Offset gifted Ellen a big wad of cash before bringing out his son and presenting a $25K check for "The Ellen Fund." He closed out the show with a performance of "Legacy" with Travis Scott. Watch the clips below. MUSIC Offset & Travis Scott Perform "Legacy" On "Ellen"